Please take your time to familiarise yourself with the process of uploading, selling or buying works by reading through the frequently asked questions below. If you have a question that has not been answered here, send us a mail and we’ll be happy to clear things up for you. What makes Orms Photo Art Different? Orms Photo Art is an online platform which connects photographers and art collectors. As a collector, you have access to hundreds of phenomenal images without the added gallery fees and commission you would normally have to pay. You also get the opportunity to customise the presentation of the work – You decide how you want your image printed and framed. 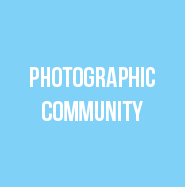 Become a member and benefit by getting connected with Orms Photo Art. Once you purchase a photograph on the Orms Photo Art site, your chosen printing and framing options will be carried out by our framing and printing experts. These works of art will then be sent to your chosen destination via courier or collected from Orms in Cape Town. 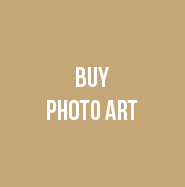 All photographs for sale on the Orms Photo Art site are carefully selected by a professional team of curators to ensure that we only feature world-class art. What substrates are used to print art photos on? We will only be offering the highest standard of substrates. Our papers are all archival and so are our framing methods. How long until I receive my artwork? All orders go into production as soon as they are placed and delivery time is dependent on the manufacturing as well as the time it takes to courier items to their destinations. Manufacturing times for fine art paper prints, photographic prints and canvas prints: 2 business days. Manufacturing for perspex, wood and aluminium: 5 business days. Framing and stretching times: 7 – 10 business days. Courier times across South Africa: 3 business days. Currently we do not supply the overseas market – but we are looking into the option of doing so. The print I am interested in purchasing does not come in that size. Why? The aspect ratio of the image and file size is up to the photographer. 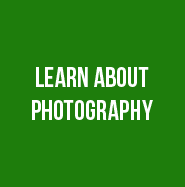 In other words if the photographer uploads a square image we can only offer them in square sizes like 8″ x 8″ or 12″ x 12″ and not 8″ x 10″ without stretching or cropping the image. Some images also have dimension constraints due to the file size the work was uploaded as. So some images might have an A4, A3 etc. option but cannot print as large as an A0 for instance without losing definition, sharpness or having some form of distortion to the image. We offer only the very best solutions. How do I return a purchase to Orms Photo Art? Include your payment slip as well as all your contact details and reason for the return. We use VCS or Paygate for all the payments. Both of these are used by the Orms Group for all online payments received. As a photographer, you gain access to a diverse range of buyers, including decorators, collectors and art lovers. 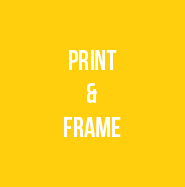 Once an image is purchased on the site, the buyer’s chosen printing and framing will be carried out by our framing and printing experts. These works of art will then be sent via courier or collected from Orms in Cape Town. No digital images will be sold to ensure that images bought can be used for aesthetic purposes only and not commercial use i.e. flyers, websites, billboards etc. This way you are not selling your digital rights. Use our simple online uploader to submit your three (3) chosen images. These images must be 2000 pixels wide at 72 DPI. Please ensure that your uploads showcase your personal style. You will also be asked to share some information about yourself as well as a link to your personal website or blog if you have one. How many images can I feature on Orms Photo Art? There is no limit to the amount of images that can be featured. How do I sell my photos on Orms Photo Art? Once the curating team have decided to feature your work, you will be invited to submit more images for selection. The curators will then decide which are appropriate for the site based on buyer demand and market research. You will then be required to submit your high resolution print-ready files. Orms Photo Art will be responsible for the uploading, colour proofing, printing, framing and couriering side of it, leaving you free to enjoy your profits made. Is there a Limited Edition option? If you feel that your images should be featured as a Limited Edition works, please inform us upon submission and we will arrange for the prints to be signed and a certificate of authenticity to accompany the works. Limited Edition works will be charged accordingly and be exclusive to Orms Photo Art for a minimum period of 3 months. Do I pay to have my work featured on Orms Photo Art? To be featured on Orms Photo Art is entirely for free. After you have sent us three (3) low resolution images and the curating team decides to feature you on Orms Photo Art, we will request high resolution images of the selected images. Work sent in will be placed in a waiting queue and then sent on to the curating panel. Work can either be selected immediately for the website or be put on hold if it does not fit into the gallery right away. Orms Photo Art welcomes all photographers, living in South Africa and abroad, to submit their images to our team of curators for consideration. What type of photographic art is Orms Photo Art looking for? We strive to have the very best photographic art featured on the Orms Photo Art website, so please ensure images submitted for curating are of the very highest quality. Our curators are looking for original, intriguing images. A creative twist will count in your favour. What substrates are used to print my photographs on? What payment structure does Orms Photo Art use? We have three payment structures based on the maximum size the image can print to. So even if a collector prints an image that can go up to an A0 at A3 size, the photographer will still be paid R800. A 5% handling and credit card fee will be deducted. Limited Edition Fees will be negotiated with the photographer for each submission. We only charge 5% of the selling price to cover admin fees and credit card charges. You will be notified every time an image of yours is sold and be paid quarterly via EFT or Paypal (for international photographers). Why was my image not selected? Was it offensive photos in any way? Was it an image we have seen many times before? We are looking for fresh images that push the boundaries as opposed to images that are available on other platforms. If your image was not selected this time, please do not let it deter you from trying again! 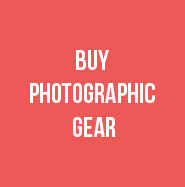 Images sold on the site will not be digital copies and therefore not used for commercial purposes. No model release form is therefore required. I wish to no longer feature an image on Orms Photo Art. If you no longer wish to be featured on Orms Photo Art, email us at info@ormsphotoart.co.za with your name, contact details and reason.